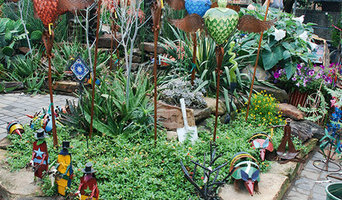 Texas Garden Materials is a Houston local landscape supply store. We are suppliers of mulch, soil, stone, gravel, sand, and much more. Not only do we supply landscape materials we offer landscaping services as well. We are committed to providing our customers with the highest quality and largest selection of landscape material available. At Texas Garden Materials you will find a friendly professional staff with knowledge that can help you chose the material you will need for your landscape project. Our products are available for easy pick-up, fast delivery to your landscape project, or you may choose our fast Delivery and Install service. Come see at Texas Garden Materials for competitive pricing, quality products, and friendly expert service. 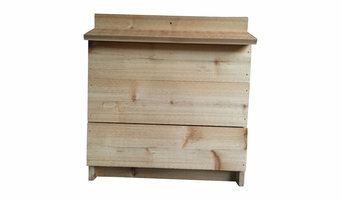 All our houses are hand-made with high quality wood. All houses are ventilated which is essential for healthy birds and houses have drainage holes. Houses have pre-drilled holes to attach the birdhouse to tree, fence or garage. Roof overhang to protect from rain & provide shade at entrance. Each house has an appropriate entrance hole size. All the walls/doors open for seasonal cleaning. Some doors have latches & other have screws to keep squirrels from opening the doors, No perch! Birds do not need perches squirrels do! Mistcooling Inc is the leading industry provider of misting systems, misting fans for outdoor cooling and industrial cooling applications. Our misting systems are used for mosquito control, dust suppression, outdoor cooling, odor control, warehouse cooling, greenhouse humidification, roof cooling and many other industrial misting applications. The Arbor Gate, way more than a garden center, is quite literally an inspired collection that includes unusual plants, artisan-created decorative pieces, and a constantly changing array of items that bring beauty, comfort, and even flavor to the home and garden. Find your Green Thumb at The Arbor Gate! OVER AN ACRE OF A WIDE VARIETY OF MEXICAN POTTERY WITH UNIQUE PATINA FINISHES. HAND-CARVED STONE COLUMNS AND DECORATIVE ACCENT PIECES FOR BOTH THE INDOOR AND OUTDOOR AREA. LARGE VARIETY OF CAST STONE FOUNTAINS UPON REQUEST. Whether you need a complete renovation, or problem repair, we offer a comprehensive set of solutions for all your landscaping needs. Patty Banzhaf, our TX Master Certified Nursery Professional, specializes in personalized service. Houston's great organic nursery and tree headquarters with four acres of stunning plants from tiny things for the season, to giant trees for instant shade, laid out to be as much a park as a nursery. With 4 acres of space, 38 years in business, and 145 years of nursery experience between the associates, we are that real nursery you have been looking for! HPF&L is here to offer beautiful design, healthy plants, quality installation, and exemplary customer service to meet your gardening needs. We are a Houston Heights-based company dedicated to Sustainable, Organic Gardens and Landscapes. Headed up by Master Gardener, P.J. and Master Carpenter, Wil, the crew at HPF is knowledgeable, creative, and passionate about making YOU happy and your garden successful! We are a true Mom & Pop company, which takes pride in our work. Our customers come first as we strive for 100% CUSTOMER SATISFACTION. Come see why our slogan is “stack ‘em deep and sell ‘em cheap." HOURS: Monday through Saturday 7am to 5pm. Sundays 11-4 during spring season. Extended hours during fireworks and Christmas tree sales! We are a family owned business that started back when FM 2920 was out in the country. We started out as a local farmer produce stand and evolved into the business we are today. We are Houston’s premier stone and landscaping outlet. Our prices and selection are so excellent that we attract professional landscapers, but we also provide material and guidance to the public and many of your neighbors. If you are not sure of a project, please come by for one of our experts to guide you through your project and make sure you are buying the appropriate material and the right quantity. We carry truckloads of stone and other landscaping materials to provide you with a huge inventory to select from. Make us your one-stop shopping for you outdoor needs. If you have a pickup or trailer, buy your mulch by the yard and save big! No truck, no problem we deliver!!! No order is too big or too small to fill. Don’t forget to see our constantly changing wrought iron, pottery and ceramics selection. We are open year round and provide seasonal items that include fireworks, fresh cut Christmas trees and other specialty items. LUXURY OUTDOOR FURNISHINGS Clean Lines, elegant styling, intelligent design. Elementa brings the sophistication and comfort you expect, into the unexpected. Elementa Designs represents the latest in Casual, Patio and Outdoor furniture for use both indoors as well as outdoors. Designed to give our clients the widest choice of fabrics and finishes. Whether you are a Residential, Hospitality, Commercial, Contract buyer or specifier you will find something that meets your needs for every project. Welcome. We are a family owned business that started back when FM 2920 was out in the country. We started out as a local farmer produce stand and evolved into the business we are today. We are Houston’s premier stone and landscaping outlet. Our prices and selection are so excellent that we attract professional landscapers, but we also provide material and guidance to the public and many of your neighbors. If you are not sure of a project, please come by for one of our experts to guide you and make sure you are buying the appropriate material and the right quantity. We carry truckloads of stone and other landscaping materials to provide you with a huge inventory to select from. Make us your one-stop shopping for you outdoor needs. If you have a pickup or trailer, buy your mulch by the yard and save big! No truck, no problem, we deliver! No order is too big or too small to fill. Come see why our slogan is “stack ‘em deep and sell ‘em cheap”. Don’t forget to see our constantly changing wrought iron, pottery and ceramics selection. We are open year round and provide seasonal items that include fireworks, fresh cut Christmas trees and other specialty items. OPEN Spring Season: Mon - Sat 7am to 6pm. Sundays 11am to 4pm. Open late during fireworks and Christmas tree sales. Bert Touma has over 20 years of engineering experience at top-tier, world class firms and continues to work in the oil and gas industry. He has been a homemade pizza enthusiast ever since he arrived in the US in 1982 and got his first job with a pizza chain. Since then he has experimented with a wide variety of pizza recipes and techniques in his quest for perfect homemade pizza. Realizing that home ovens are not adequate for baking pizza, he set about designing the Mighty Pizza Oven and now dreams of empowering fellow pizza lovers around the world to bake professional quality pizza in their own homes. If you’ve been dreaming of a beautifully landscaped property with a water feature or a concrete fire bowl but don’t know where to start or what landscape supplies to buy, it may be time to look into garden and landscape suppliers in your Texas area. From retaining walls to raised garden beds, these professional vendors can make your backyard the oasis you’ve been longing for. 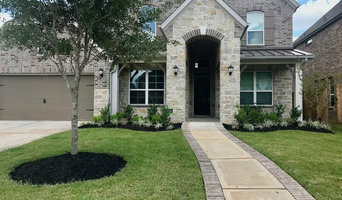 What’s more, many of these professionals can help you take your ideas from design to installation and provide garden care and yard maintenance according to your Houston, TX climate. Here are some related professionals and vendors to complement the work of garden & landscape supplies: Landscape Contractors, General Contractors, Landscape Architects & Landscape Designers. What if you would love to grow your own vegetables but have site limitations? Many garden supply companies offer planters and containers that are up to 42 inches tall. For those who live in colder climates, consider a greenhouse — just the thing to enjoy starting plants or growing exotic blossoms that wouldn’t quite work in your Houston, TX climate. Find garden and landscape supplies on Houzz. Search the Houzz Professionals section for Houston, TX garden and landscape supplies. Browse photos and read reviews. You can also explore full-service Texas landscape architects and garden contractors.